“Tax accountant Richard Murphy said the accounts were ‘meaningless’ because so much of the revenue was channelled through Ireland. This company is taking the benefits from Britain – its roads, rule of law, regulated markets, educated workforce, universities, and so on – and then using the offshore system to get out of paying for any of these privileges. Facebook (presumably) hasn’t actually broken the law. But this sort of thing is, to use an expression, simply criminal. Copied from the TJN blog. Its ROADS! Seriously? When did Facebook start using roads? Sinking a little deeper every day. Facebooks execs in the do pay tax, and with income of £270k per head, 14 times the UK median wage, that will be enough tax to over their road usage a few times over. Try something else. This is an epic #fail. Edouard, have you considered reading a one-pager on how the UK (or any) tax system works? Just to get up to speed on the basic principles. Corporation tax and personal income tax are entirely different things. When did Facebook start using roads? What do you think the cables delivering Facebook to every house run along & beneath? Who would look after Facebook if I started cutting those cables in two? You may want to brush up on your elementaries of taxation economics. As the increasingly likely next President once said: “corporations are people” when it comes to tax. Any corporate tax always comes out of a real human being’s wallet. That person can be a shareholder or creditor (lower return), customer (higher price) or employee (lower compensation). In the case of the UK, which is an open, small-ish economy (about the size of California), most of the corporate tax is paid by workers. The UK government could raise more corporate taxes from Facebook (at 25% or whatever the rate is), but that would come out of workers’ compensation, which is taxed at 50%). That would be pretty daft. So basic. Should someone writing a blog about taxes not know that kind of stuff? Ah yes, that old canard, Edouard. When Romney asserted that “corporations are people, my friend” he was laughed out of town. It’s true in a narrow sense, but the point here – the central point – is WHICH people? So you admit that corporation taxes do fall upon shareholders. Well, that’s progress at least. ( Remember the contortions you tied yourself in with the GE hoax http://treasureislands.org/does-the-ge-hoax-give-clue-about-tax-incidence/ ). So now who are those shareholders? Well, let’s try Cirque du Soleil, for example. 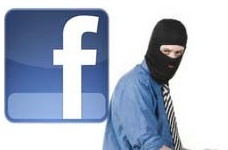 http://taxjustice.blogspot.ch/2012/10/tax-avoidance-first-facebook-then.html Or let’s try Facebook: Mark Zuckerberg. That’s a double win for the UK: they get tax revenue, and it comes out of a foreigner’s pocket. Similarly for the Starbucks story. Oh, and then there are the bankers. If some of the burden of tax falls on the investment banker “workers” of Goldman Sachs, then even you I think would have to agree that that is a good thing, no? You are picking a particularly poor example. The UK’s entire fiber and cable telecom infrastructure has been installed and financed by private capital, and not by public funds. In fact, it has been largely financed by foreign capital. This is another epic #fail. Yes, and of course all the people who put facebook together never went to university, never travelled on roads, never had to rely on the publicly guaranteed rule of law, and the internet companies never had to rely on publicly-funded research. So where do they all come from? Somaliland, I guess, or perhaps Transnistria. Even then, they do have taxes, after a fashion. Rather than just asserting things like “this is an epic fail” why not let your facts simply stand (or not) on their own merits? Romney has risen up 8-10 points in the polls since he made this comment, so watch out for who will have the last laugh. I did not write that the incidence of corporate taxes fell on shareholders. In fact I suggested exactly the opposite. You can call this a ‘canard’, but it is the prevailing opinion among economists. That does not mean it is right, and you are free to object to this conclusion. But you have yet to put forward a single piece of academic or scientific analysis to support your position. (Memo: ITEP is not a research institution, but an advocacy group. It is in the same category as Grover Norquist Americans for Tax Reform). Goldman Sachs’ 25,000 employees are not representative of the 200 million workers across the economy. If you are genuinely concerned about taxing Goldman’s employees, there are much better ways to do this than corporate taxes. But don’t let this get in the way of a banker-bashing opportunity. No it isn’t the prevailing view among economists. There is no consensus, in fact. The US CBO says so, as do many others. And unlike Americans for tax reform, CTJ is never accused of making things up. Their ability to analyse US tax data fast and accurately is unrivalled – even the right wing sites like to use their data.